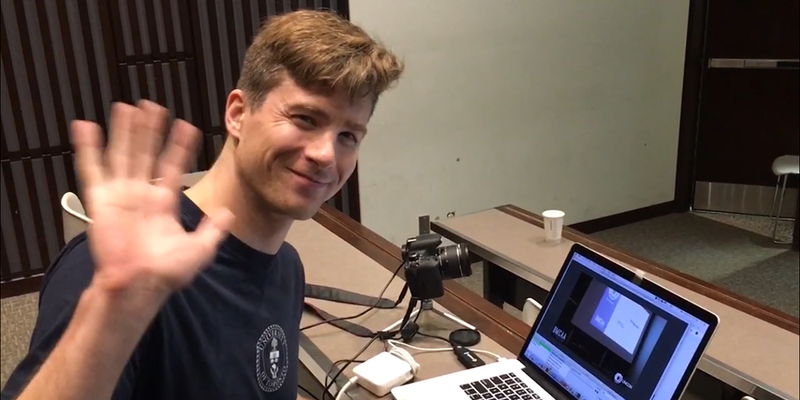 Last week the Biomedical Communications Alumni Association hosted its annual, semi-formal one-day symposium event at the University of Toronto St. George campus. Graduates and current students of the BMC program meet and share stories about recent projects, new work experiences and skills they've been developing. It’s a day of short talks interspersed with the BMCAA general meeting and breaks for socializing. You can view recordings of the talks on the BMCAA youtube channel, care of the live-streaming services provided by TVASurg's own Paul Kelly. Session 1 of the UnCon featured Stuart Jantzen and Brendan Polley. Session 2 of the UnCon featured Dr. Joseph Ferenbok and Christine P'ng. Session 3 of the UnCon featured Felix Son, Gwun Chin and professor Dave Mazierski. Presentations from this year’s UnCon included technical talks–an overview of scripting in 3D software by Stuart Jantzen, and tips for improved rendering in the Unity game engine by Brendan Polley, both from AXS Studio. 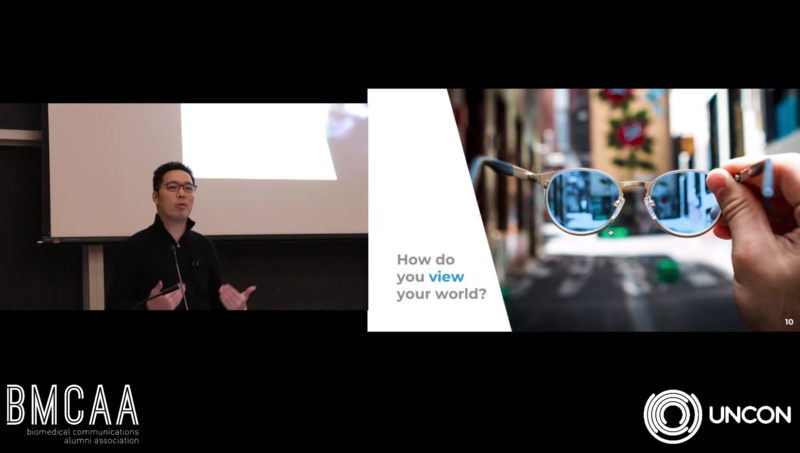 Insights into the different types of working environments that BMC grads enter were discussed in talks given by Christine P'ng from Cancer Care Ontario, Mathieu Ranger from Bridgeable, and Felix Donghwi Son who had recently completed an internship at the NIH (National Institute of Health). U of T professors Dave Mazierski from BMC, and Dr. Joseph Ferenbok from U of T's Translational Research Program also came to present. The UnCon provides a great opportunity for alumni and fellow medical illustrators not only to share recent work, but to promote new business ventures as well. 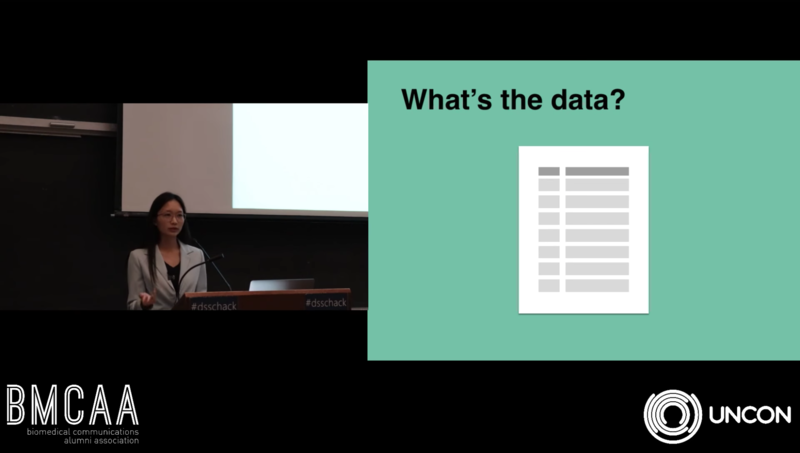 Johns Hopkins graduate Shizuka Aoki presented on her newest product, BioRender, a cloud-based software that allows scientists to visually communicate their research with tools to help them create illustrations on their own. Another medical illustrator entrepreneur, BMC alumni Gwun Chin, has launched a new business as a life and leadership coach, motivational speaker, and transformational workshop facilitator. His presentation on the Anatomy of Confidence was well-received! There was great excitement and anticipation for this year's keynote speaker, Gladys Tong. A graduate of the BMC program from 1994, Gladys now lives and works in Vancouver, BC and is the founder of G Creative Productions Inc., a motion graphics and visual effects company in the movie and film industry. All BMC grads in attendance were delighted to have the unique opportunity to hear about her incredible journey. We'll be looking forward to next year's UnCon, but in the meantime, you can get regular updates on the activities of BMCA alumni on the BMCAA website!